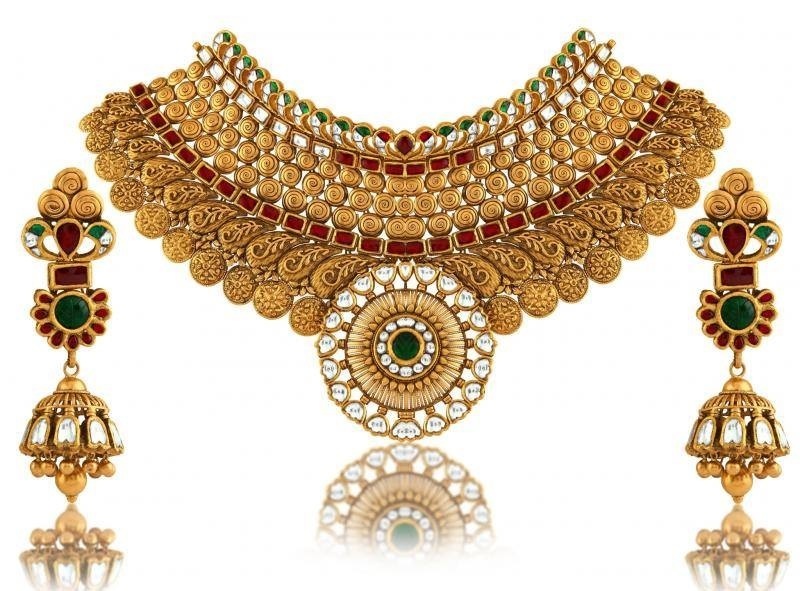 Elegant looking Custom made American Diamond Exquisite Bridal Necklace Set Jewelry. With Real Cubic Zircon and crystals studded with Real Rubies and Emeralds . Made on Sterling Silver. Plated with 22k Gold.